The Mitchell Prehistoric Indian Village is an archeological site, where ancestors of the Mandan were growing corn 1,100 years ago, features a full-scale, walk-through reproduction of an earth lodge and a completely reconstructed buffalo skeleton. 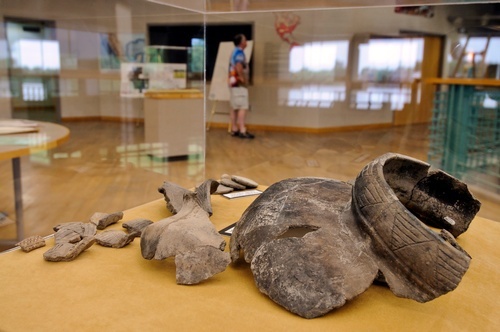 Other discoveries, including bones, stones, shells, animal and plant remains are all on exhibit. Kids can dig for a free arrowhead! The Archeodome, built over a portion of the village site is a world-class archeological facility that allows archeologists and the public access to this ongoing excavation project. Discover an ancient Indian Village more than 1,100 years old! 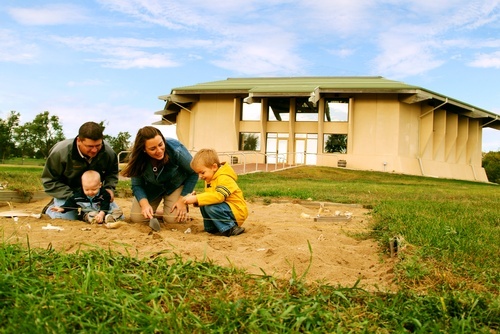 Explore a fully reconstructed earth lodge like the group of Native Americans who lived here would have lived in, and learn how they survived and farmed on the banks of what is now Lake Mitchell. 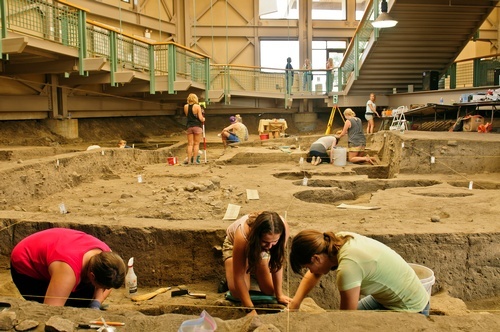 Experience the enclosed archeodome where on-going excavations and laboratory analyses are happening. Hands-on activities are also available to try.